There are some major reasons for people to hire Bronx locksmiths. These are lock replacement, lock repairing, lock installation, and cleaning of lock. At some point of life, most of us might have hired the above services of locksmiths. In these situations, you get enough time to call these locksmiths when faced with the lock issues. But what if you are faced with an emergency situation and in immediate need of a locksmith? In situations like these, you will require the service of emergency locksmith services that provide services 24×7 and respond as soon as receiving your call. The following are 5 circumstances when calling a 24-hour locksmith service is the best thing you can do. When you find yourself locked in house, office, and car - If you find yourself locked out in the daytime then it is not so much of a bother because you can call your local locksmith and get the lock issue sorted out. However, if it is in odd hours, like midnight, and you find yourself locked out of your house, office or car, the situation is quite urgent and often disturbing. The good news in these situations is that there are locksmith companies like One Stop Locksmith who are available to come to your location and get you in within few minutes. When the keys are lost– It is quite an irritating feeling to realize that your keys are missing. There are two possible reasons to losing them: one possibility is that you have lost the keys and the other is that somebody has stolen them. In both the situations, the necessity is to get the locks supplanted as soon as possible. Otherwise, there are good chances of theft or meeting with some dangerous situations. In a situation when vaults, drawers and other security frameworks do not open- This is a common problem that people living in home or office with electronic secures installed face. This is quite a frustrating situation with you not able to open, though badly in need of the important documents that lay within. 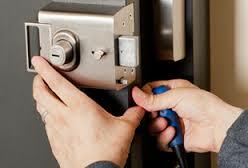 In situation like this, it is only the emergency locksmith who can come to your help. When you go on a vacation, without anybody looking after your home - If after coming back after a short or long vacation, you find all your valuables stolen, it will be the worst thing to happen. Hence it makes sense to ensure that an emergency locksmith assesses all your locks and do all that is required for a foolproof security. When a vehicular accident happens near you- There are instances of mishaps happening with a car and you are a witness. The driver or back-seat passenger is stuck within the car. In such situations, calling an emergency locksmith Bronx is the best help you can do. The immediate availability of the locksmith will come as a great help in sparing the life of the persons within.